Mud runs have seriously spiked in popularity over the last few years. The mother of all mud runs Warrior Dash, started as a 2,000 participant race in 2009, and has evolved into worldwide event that attracts millions of runners (and dollars) each year. 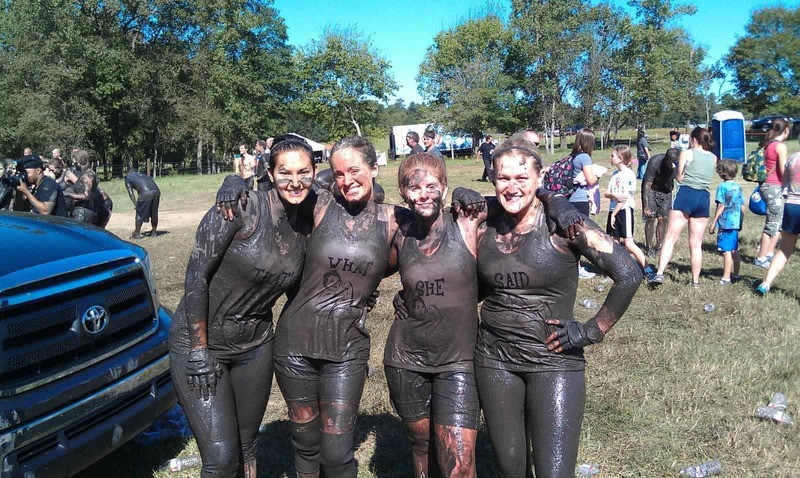 While traditionally mud runs are 5K races that include several obstacles, there are now several options out there for a mud run, that range from 5k courses to full length obstacle laden marathons. 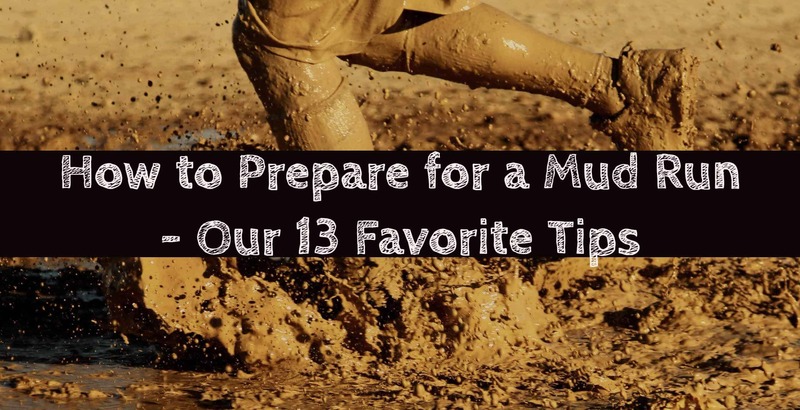 No matter what type of mud run you are preparing for, these 13 tips will help you train, pack, and be prepared for a race that is sure to be completely different from any other race you have ever attempted before. Whatever the distance of your race will be, you should allow yourself ample time to build the endurance necessary to run further than that. While this is typically a guideline I would recommend as part of your training for any race, it’s especially important when training for a mud run. Let’s say, for example, the mud run you are participating in is three miles. You should be able to complete a five mile run in your training. Running is only one third of the challenge with a mud run. there are also obstacles to consider, and the fact that you will be running with extra pounds of wet, muddy clothes. If running three miles makes you tired, then the exertion from overcoming the obstacles, and running with a few extra pounds will make the experience miserable for you. If you feel comfortable running five miles on a paved surface, that will be comparable to running three miles in the mud, with obstacles, and added weight. If you typically train for a race by running on roads, sidewalks, or otherwise well beaten paths, you will definitely want to mix it up in preparation for a mud run. Mud runs are often located on winding trails, grassy fields, and slippery slopes. As part of your training, you should run on grass, trails, and beaches at least once a week. This will not only help you build the endurance necessary to complete the race, but it will help reduce the risk of injury. You will run with better balance and stability if you train on rough terrain, rather than only using sidewalks and pavements. One way to improve the bars portion of the race is to practice going over bars with gloves. Gloves are essential to keeping your hands protected from the elements of a mud run while providing the grip you need to hang on. Here are a few gloves that fit the bill and are recommended by fellow mud runners. 3. USE STRENGTH TRAINING TO PREPARE FOR THE OBSTACLES. In contrast to typical 5K races, mud runs are a full body workout. Climbing ropes, crawling under nets, pushing over monster truck wheels, and jumping over various obstacles will test your entire body strength. While you can’t exactly train for this obstacles by replicating them exactly, you can train the same muscle groups that you will need to tackle the obstacles. Work your upper body, core, and legs throughout the week, alternating between exercises that strengthen each. You can use specific machines at the gym, or just stick with tried and true home exercises: push ups, pull ups, sit ups, russian twists, lunges, squats, planks. This ﻿buzzfeed article offers some helpful advice on moves that are best for training for a mud run. 4. TRAIN YOUR ANKLES, AND IMPROVE YOUR BALANCE. 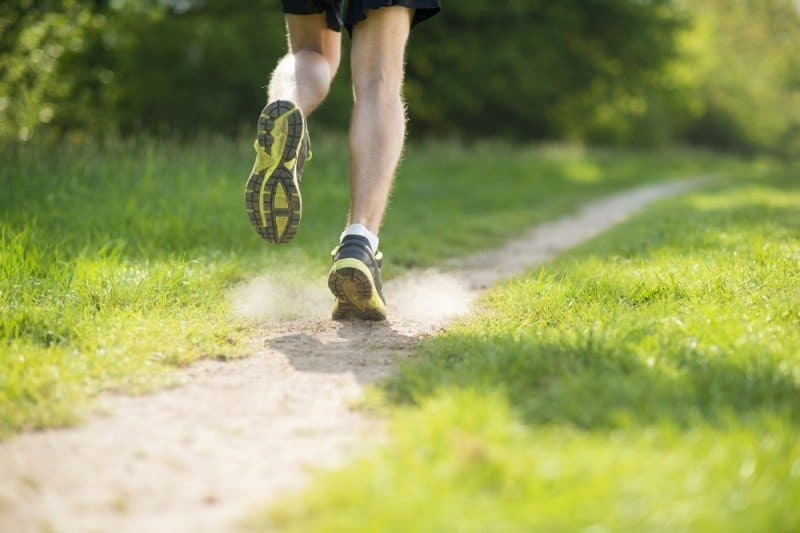 Running on trails will help you improve your balance and strengthen your ankles, but additional exercises like burpees, mountain climbers, and calf raises are all excellent exercises to add to your routine, that will help strengthen the muscles needed for perfect balance. This is important to prevent twisting your ankle or falling down on race day. Doing some yoga sequences a few times a week is also great way to improve balance and flexibility, that will help you run smooth on race day. 5. AMP UP YOUR VITAMIN C INTAKE. There are going to be a lot of germs in that mud, and there’s a good chance you’ll walk away with at least a couple of scrapes and scratches. 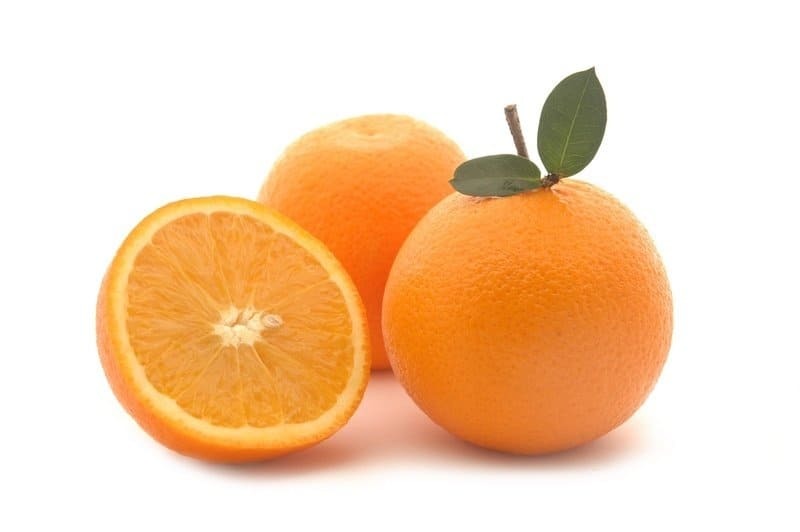 Vitamin C rich foods or tablets will help you ward off infection in case you do get bruised and battered. Plus, if the weather doesn’t cooperate, you could end up wet and muddy from head to toe on a cloudy day and invite the flu. 6. 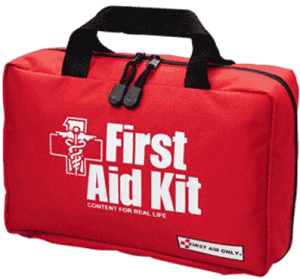 SUNSCREEN AND A FIRST AID KIT. You’ll be out in the sun for several hours, and there’s a good chance that you will be at least a little bit scraped up by the end. If you do get some cuts and scrapes, clean the wound and apply antibiotic ointment and a bandage immediately after the race and photos, and before heading to the beer tent.This small First Aid on Amazon is quite affordable and has pretty much everything you need to fix any scrapes or cuts after the race. Your knees will taking a bit of a beating during the race so if you would like some protection, here are five really good knee pads that are highly recommended. 7. BRING SPENDING CASH AND YOUR ID. If you don’t want to bring your whole wallet, make sure you at least bring these two essential items. These races are becoming more and more like a concert or a small town festival. They are events, and there are food tents, bar tents, and lots of vendor tents. Most of them don’t accept cards, so cash is a better option for buying stuff, and you will need your ID to pick up your registration pack and get a post-race beer. 8. RECRUIT A LOVED ONE HOLD ONTO YOUR THINGS, AND SNAP A PICTURE AT THE END. Most of the time you can check your belongings or rent a locker, but it will cost you. Your car will be parked a mile away unless you got there 4 hours early, and your hands will be way too muddy to handle a camera to get that all important post race photo anyway. There are usually professional photographers there snatching pictures, but then you usually have to buy them from the website later on. It’s best to try to recruit a friend or family member to hold onto your things for you during the race and have the camera ready at all the checkpoints and at the finish line. If all of your friends that came with you participated, a selfie stick is the BEST idea to snap those post race photos. If you are a GoPro user, here are five tips to using one during a Mud Run. 9. AVOID WEARING LOOSE FITTING CLOTHING. Opt for tight fitting “moisture wicking materials.” Mud and water are heavy, and if you soak it all up, then you will cross the finish line 18 pounds heavier than at the start line. A one piece swimsuit (as long as you feel comfortable running in it) with a pair of running shorts isn’t a bad choice. Here is a list of the five recommended shorts for mud runs. Leggings or spandex shorts are good as well, since they don’t carry a lot of moisture and they are better for climbing and swinging your legs over obstacles. Avoid white, or light colors, if you ever plan on wearing those clothing items again. Grind TV recommends to dress skimpy for the run. Keep in mind that your underwear will get soaked too. To avoid the uncomfortable issues that surround moisture and friction in your private areas, here are good underwear for mud runs for both men and women. 10. PLAN ON NEVER WEARING YOUR SHOES AGAIN. After a mud run, they will never be the same. The number one mistake you could ever make by participating in a mud run, is wearing a new pair of shoes. 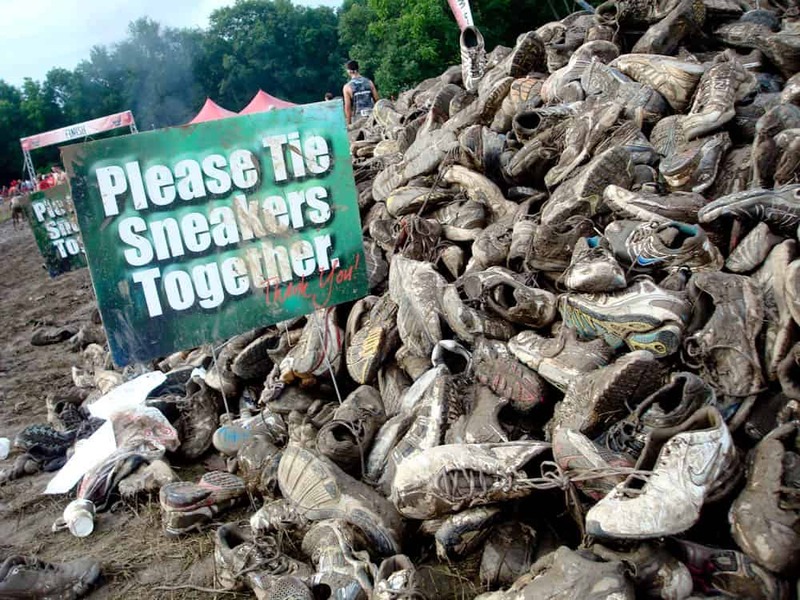 Many mud runs have a shoe donation or recycling tent where you can give your nasty shoes a proper burial, rather than leaving them in the parking lot. EVERYTHING is slippery. Even the flat parts. Avoid shoes that are at all flat or smooth on the bottom. No Converse. No trail shoes. No water shoes. While normal running shoes do typically get heavy with all the mud and water, it’s worth it to not be sliding all over the place and constantly worried about falling down. 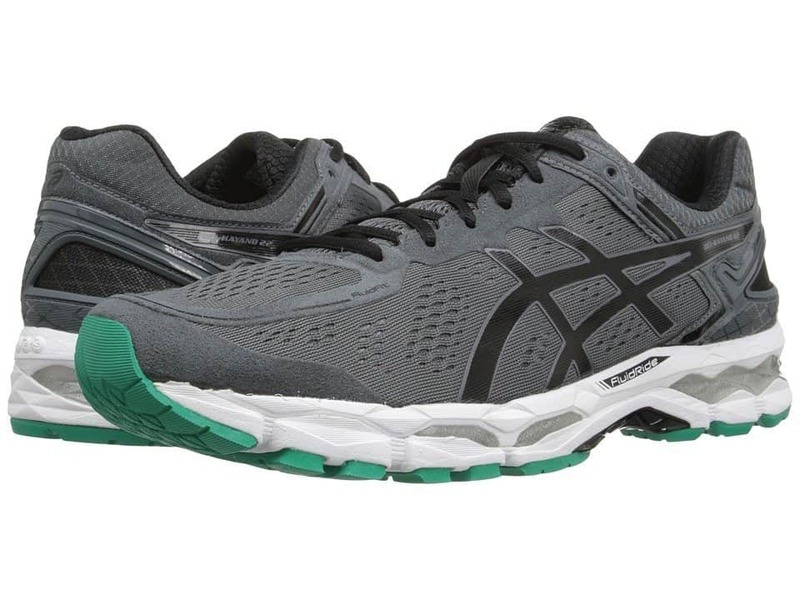 Wear normal running shoes with good tread, just make sure that you are prepared to part with them afterwards. The most ideal shoe would probably be a light pair of spikes, but most people don’t have an old pair of those lying around, and it’s definitely not a good idea to go out and buy a pair of shoes for this race (see #8). At some points in the race, your feet will be completely engulfed with muddy water, and may get as deep as thigh or waist high. Before the race, make sure your laces are tied extra tight, or else when you hit those deep patches you will loose them and then not be able to see into the water to retrieve them (and possibly get stampeded by the crowd). As you select the shoes that you don't mind ever seeing again, keep in mind that blisters on your feet can also develop. One simple way to overcome them is to invest in a pair of mud run socks. Here are a few that are well recommended. 12. BRING CLEAN CLOTHES AND FLIP FLOPS. Bring a clean set of clothes that are easy to wear and that you don’t mind getting dirty. I don’t care on where you plan on going after the race, you will NOT want to put on a cute outfit after this. You will not be able to get all the mud off yourself no matter how hard you try, and there will most likely be no where to change other than a port-o-potty. Be prepared to change in the parking lot and slip your clean clothes on over your muddy under garments. 13. BRING TOWELS, WATER, WET WIPES, AND PLASTIC BAGS FOR CLEAN UP. Even if you are heading straight home or to a hotel after the race, you will not want to sit in the car on your soggy bottom. Bring towels, lots of them, and a couple of jugs of water or wet wipes to help clean up. Don’t bring white towels or pretty beach towels. 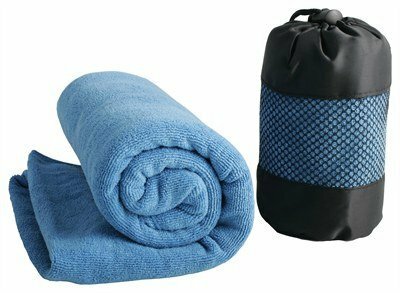 Bring old towels, that are dark colors. It’s best to bring a whole roll of trash bags, or a ton of plastic shopping bags to store all your muddy clothes and towels. The guys from Mud Gear put together a few ideas of how to clean up your clothes after a mud run.